Mundane Astrology is probably the most difficult art to accomplish of the various arts that astrologers practice. But it is probably the most fascinating and most rewarding, of them all. I am an ardent student of the writings of Ali Aben Ragel, Abu Masar, who wrote extensively about Mundane Astrology, and I have had the honor to study with a most excellent astrologer and friend, Robert Zoller. During the past years, I have restrained from doing any mundane astrology for the US, due to the efforts involved, but not so for Puerto Rico, the country in where I live, to which I have had much success and recognition. This year I have decided to create a blog, called Angelicus Merlin Vox Stellarum, in honor of the astrologer, William Lilly, and his yearly Almanac during the XVII Century. If you wish to participate or advise me of any of my predictions being fulfilled or not, please do so by sending the news clips or references to which you refer to. This site is intended for Astrologer or those interested in astrological predictions. Once the Presidential Inaugural takes place, I will study the same astrologically, and will write about what fate the stars hold for President Obama, according to Abu Masar and Masha allah. This is only the first part of 2009's Prediciton. In September, I will update the same. The Year 2009 is a year in which man will want to transcend all mental and human limits. We must demand that we extend ourselves beyond our usual way of conduct. We must understand, that we are part of a whole, and that we should help others realize this. It will be a year in which a lot of social ideals and community idealism will be presented, all with the intention to commence a year of transformation, which will be the commencement of new things to come. The Sun is the Ruler of the Year, and it represents the President. And it is significant, because he will want good for his people and will want to benefit the nation. But he will feel forsaken, because of the precarious economical position of the Nation. He will have no choice than to present alternatives that will not be good for the US. The ancient sages said that if the New Year commenced on a Thursday, both the winter and summer will be windy and that Spring will be humid. We will see floods this year, during the August through October period. The Solar Eclipse that will occur during the month of January will bring sadness and burden to the people. 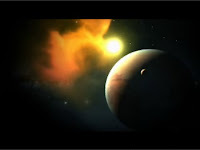 The Lunar Eclipse of July, we will hear of kidnaps, a higher rate in robberies, and higher crime rates during the month of July through September. [One must look at statistics as a whole]. 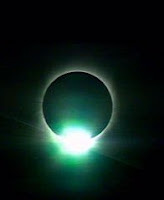 The Solar Eclipse of July augurs an increase of sexual famine, especially after the month of July. The Lunar Eclipse of August will bring harm to the land and its fruits. Governors will be obligated to increase tributes, and this will cause anguish and sickness among the people, especially those States that are in a bad situation such as; Puerto Rico, and California. 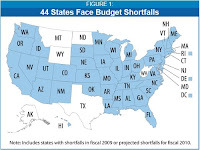 [See http://www.cbpp.org/9-8-08sfp.htm, State Budget Troubles Worsen]. We will see a decrease in their riches, and people will lose their documents. The Banking Industry will continue to be sluggish during the coming year. The old will suffer dearly. The Moon is in detriment and unfavorable, and this is indicative that the people will be harmed by their governors and will suffer much sickness. And where rain is needed they will not have, and where it is not, much will be received. Those who have important positions will be in fear of losing it and will lose it. The people will lose their faith in the religion and religious people and will seek help in those that say are spiritual, but will be fooled by what they say. Be careful in whom you deposit your faith. It will be a year in which the people will be reflective, restrained, sad and with hurt. It will be a year in which people will lie, deceit, and provide false documents. But this will be seen more among accountants and sales people. An increase of women who die during labor. We will hear of the death of a famous economist, or financial or business tycoon during the month of March through September. We will hear of grandfathers who will abuse of their grandchildren, of elderly who will feel abandoned, and it will be the elderly who will mostly suffer the economical setback of the nation. We will hear of an increase of children who die by suffocation or drowning. People will travel less, and the airline industry will continue to suffer setbacks. An increase of divorce among couples will occur during 2009. An increase of the earth tremble, and we will here of this more so in the North, Northeastern and Southeastern of the US. It will be the South and Southwest of the US in which it will suffer as far as weather is concern. Scarcity in agriculture, stock-breeder will have a difficult year, and they will go bankrupt. The government will have bigger concerns and will not attain to their needs. He will be fearful and forsaken because of his unfortunate predicament. His Secretary’s will have bad luck and one that is close to him, the one of state, will be obligated to resign. But they will all suffer misfortune and will feel unlucky. States will reach agreements with their government employees, but the growth of government employees will come to a halt. But we will hear of possible strikes and powerful men who will be against the President. Those who manage the finances will have great difficulty and obstacles. His first one hundred days will be of much difficulties and he will not be favored by the people. They will feel he has let them down, and this will continue until the month of July. [In other words, Polls will be low for him]. Between the month of March and April he will travel, but his objectives will not be met. His major concern will be over communication and if the country is understanding him. The automobile industry will be his biggest challenge, and how to increase jobs to stimulate the economy, but only in the automobile sector will this be achieved. Until the month of July, he will feel he has lost honor among the people and he will unsatisfied with what he has accomplished. His first objective will have to do with education and schools, and improve the student’s performance. January he will be involved with issues such as health, and jobs. February he will seek conversations with other countries, and countries which may be seen as US enemies. He will be also concern about his wife.. March he will talk to the Nation and probably ask for sacrifice and an increase in tributes. April he will want to travel abroad and seek agreements. The death of a religious one will bring sadness to many. Areas such as the South and Southeast of the World will be the most afflicted. Snow storms, especially in the Southwest and South of the US. Earthquakes will continue to shake the earth, places like Portugal, Greece, Egypt, Brazil and Turkey or areas close to these will be the most affected. We will hear of tyranny in some countries, and death will be among the people, and hunger and they will burn cities, and the people will be punished. Drought will continue to hurt many countries, and we shall hear of the death of a great leader, and all this during the month of April through September will occur. The Euro will decline, especially during the month of January, June, July and October, and we will hear of one or more European countries that will want to abandon the EU Agreement. [This does not mean that they will]. Spain will continue to have a downfall in the economy, unemployment will continue to increase but will be significant is the increase in car accidents. France, the young people will go against the government and we will hear of riots and upsets.